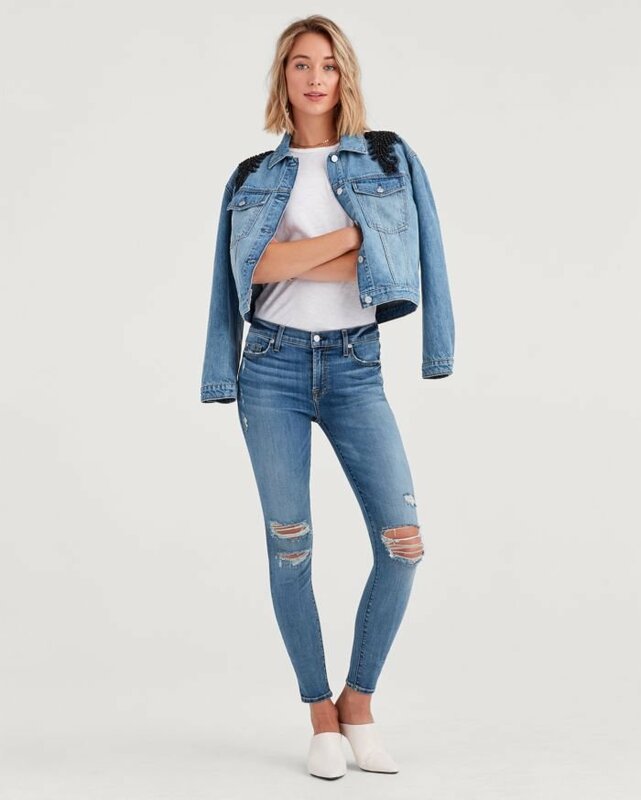 Denim has experienced a whole lot of reinventions throughout the many years it has dominated the market ever since Levi’s became a household name in workwear. The brands on top have competed with many other emerging trends outside the denim industry, most recently being activewear emerging as streetwear. Leggings have replaced jeans in the closets of many denim fans (and I admit sometimes I prefer to go for one of those leggings that looks and feels just too cool for the gym from time to time in lieu of my favorite jeans), so for the last five years or so, some pretty incredible fabric technologies have allowed jeans to at least lightly transcend into the legging market. For me, these have been amazing, as it was hard for me to find a jean that fit my curves just right without a belt! As these technologies improved, premium brands have released thinner and lighter fabrics for extra breathability in our ever-warming California summers. 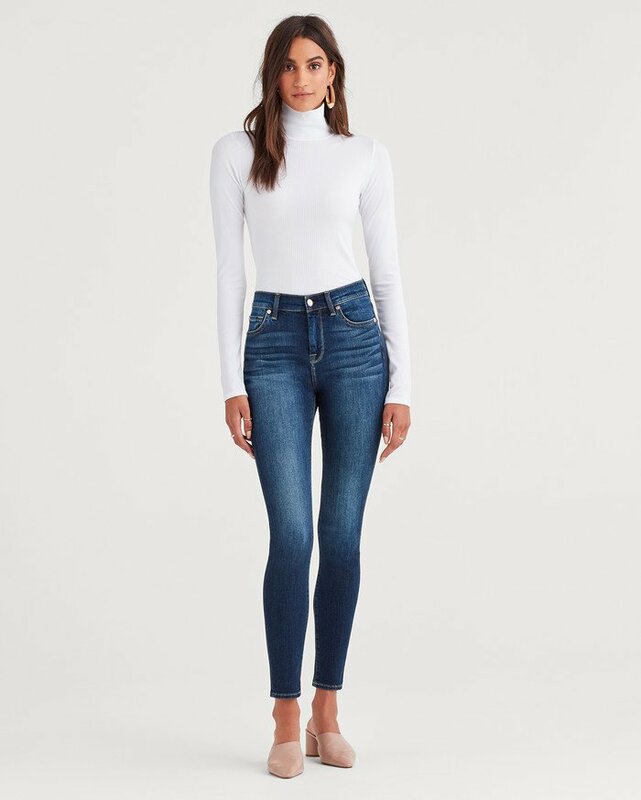 7 For All Mankind’s b(air) line was released in the summer of 2016, and has been going strong since then with new styles almost every season (most notably July and October of 2017). Meanwhile, vintage-inspired fits and feels have exploded back on the market for those who aren’t very partial to jeans with a lot of stretch and prefer that thick, sturdy fabrics of the earlier years. The brands that adopted the stretchy fabrics went in both directions, as vintage denim will always remain at the heart and soul of the industry. 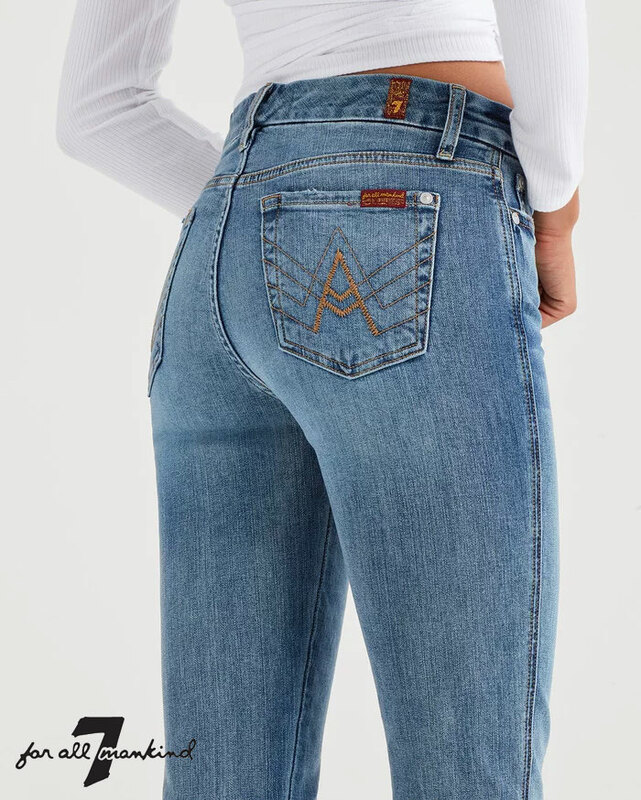 However, 7 For All Mankind has done something really interesting to me: they reinvented the b(air) style to combine the best of both worlds, with their new b(air) Authentic collection. The new b(air) Authentic collection from 7 For All Mankind “brings the same softness and stretch you love in an authentic weave. 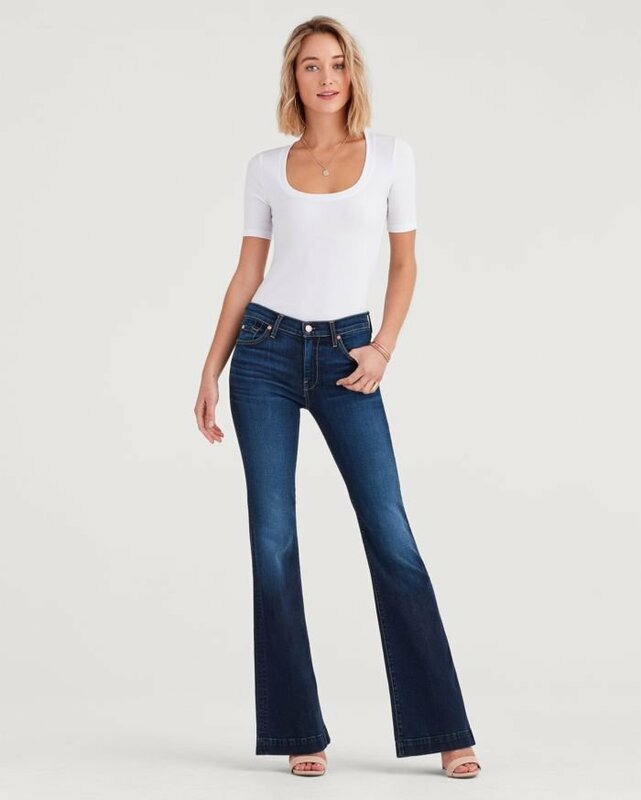 That means a more textured look and an enhanced slimming effect—a vintage-inspired take on b(air).” Another thing I love about this line is that it includes several classic fits beyond the ever-so-popular skinny jean, including flare, straight leg and bootcut. Choose from the brand’s much loved signature fits such as the Dojo, Roxanne, Kimmie (which is wonderful for curvier bodies), and the “A” pocket, in worn-in dark and light blue washes. It’s hard to say exactly what these are like in person since I have not yet tried one, but if this brand delivers what they are claiming here (which they usually do), I’m sure these are some of the most comfortable jeans around—the b(air) fabrics are typically around a 8.5oz weight, while these new b(air) Authentic styles feature 11.5oz. So, I would imagine not only would these be great to keep you a little warmer in the winter, but if the original attraction for the b(air) development holds true with these, they should also keep you cool in the summer! I truly hope to try a pair soon. Here are some of my favorite pieces from 7 For All Mankind’s new b(air) Authentic release! Shop all b(air) Authentic styles here.